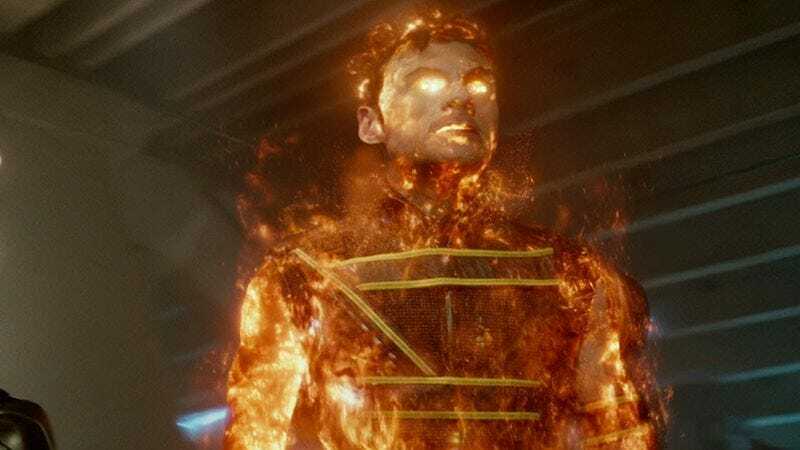 His power: Sunspot thrives on solar energy, using it to give himself superhuman strength and turn into a being of pure plasma that looks a lot like the Fantastic Four’s Human Torch. His story: He can get really hot. Sunspot is one of the new X-recruits used as cannon fodder in X-Men: Days Of Future Past, and he doesn’t do much except show off his powers and die twice. A Sentinel with Iceman’s powers kills Sunspot in Moscow, and then a Sentinel with Lady Deathstrike’s killer nails impales Sunspot in China, revealing that his plasma form doesn’t protect his internal organs. Wolverine’s successful rewriting of the past saves Roberto from his future death, but it’s uncertain what his place is in the X-Men in this new timeline. Currently, Sunspot is: While he has yet to appear in the new XMU timeline, he’s currently slated to appear in the New Mutants movie Fox is developing. It’s unknown if that movie is set in the post-Apocalypse past or the altered present introduced at the end of Days Of Future Past, so there are a couple options for what’s going on with Roberto right now. Where will we see him next? If New Mutants gets made, expect to see Sunspot as part of the team, joined by his partner-in-crime from the comics: Sam “Cannonball” Guthrie.